Working quietly since 2006, Premji Invest investment firm has built up positions and funded around 40 publicly listed and private companies out of a corpus of $1 billion (Rs4,290 crore). Yet, its operations are shrouded in secrecy and the firm has consciously avoided building a public profile. Premji Invest is a private equity fund owned by Azim Premji, which manages over $2 billion of Azim Premji’s personal wealth by investing in capital markets and picking minority stakes in start-ups, including homegrown e-commerce companies such as Flipkart and mobile payment companies such as Chennai-based Financial Software and Systems. Till date, more than 60% of its total cash have gone in capital markets, buying stocks of firms in the consumer business including Bata and Hindustan Unilever. And another 30% in picking minority investments in start-ups, just like last month, the family office invested Rs 350 crore to pick a minority stake in payments processing and technology company Financial Software and Systems. PI’s chief investment officer Prakash Parthasarathy told Mint, the decision to stay out of the public eye is a conscious one. “We want our work to speak for itself. With names such as Premji and Wipro backing us, we do not need to hit headlines to show our presence,” he says. 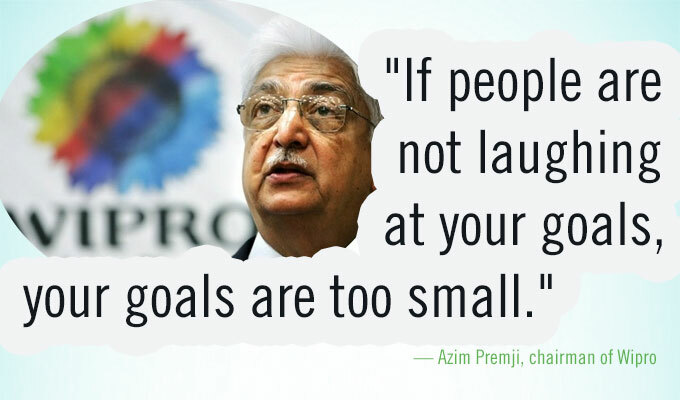 Introvert Wipro chief Azim Hasham Premji never shied away from testing other business fields. Having inherited his father’s ailing vegetable oil business in the mid-1960s, he diversified it into making hydraulic cylinders in the early 1970s, embraced information technology in 1980 because he thought IBM Corp’s withdrawal from India would leave a market gap. Initially, his company started manufacturing some of India’s first personal computers but swiftly moved into offering software services for global clients who had started eyeing Indian firms for their huge cost advantage. Despite making Wipro India’s No. 3 software services exporter, he did not put all his eggs into the infotech basket. He has also carved out a successful toilet soaps unit, a childcare products unit, a lighting products unit and a finance company. When other billionaires of India took to private equity investments, Premji too created a corpus of $1 billion (Rs 4,290 crore) under a new banner called Premji Invest (PI) in 2006 and routed his personal non-Wipro investments through it in both listed and unlisted private companies. So far, Premji Invest has taken positions or funded in about 40 companies but never made public its funding profile. And these investments are both small, large and sector-agnostic. 1) Premji Invest come to headlines in May deploying $20 million to HealthCare Global Enterprises Ltd., an oncology care company, which manages a network of 10 cancer care centers across India. 2) Premji Invest bought 3.33 percent in Bangalore-based Himatsingka Limited, a company largely into textiles exports with a growing retail presence in home furnishings. 3) Premji Invest picked a 2 percent stake in Koutons Retail, an apparel retail company, for about Rs 20 crore ($5 million). 4) Premji Invest has also invested $10 million (about Rs 40 crore) in Cicada Resorts, another Bangalore-based eco-tourism operator. 5) Premji Invest bought include ABG Shipyard Ltd (1.01%), Aventis Pharma (1.03 percent), Dish TV India Ltd (1.4%), JM Financial Ltd (2.92%), Marico Ltd (1.41%), Shoppers Stop Ltd (1.51%), Novartis (2.84%), Crompton Greaves (1.09%), Today’s Writing Products Ltd (3.9%) and an unspecified holding in cement maker Birla Corporation. 6) Myntra.com has raised a fresh round of funding from a group of investors led by Premji Invest. 7) Premji group Invested $100M Private Equity with 4 others in Snapdeal an online marketplace offering best priced deals on branded products such as mobiles, electronics, apparel and accessories. 8) Invested $106M with 8 others in DataStax which delivers Apache Cassandra, the leading distributed database technology, to the enterprise. 9) Invested $57M in Financial Software and Systems (FSS) – a leading global payment systems company offering business value in the areas of electronic payment. 10) The biggest cracking deal for Premji Invest is Cyanogen, $80 million funding in series D with 12 other investors. 11) Premji invests in Amagi Media Labs – a Bangalore-based tech and media startup that facilitates geographic targeting of TV advertisements. NOTE: PI is funded by Premji and not Wipro, but given the former’s 79.45% stake in the latter, the lines could blur sometimes.